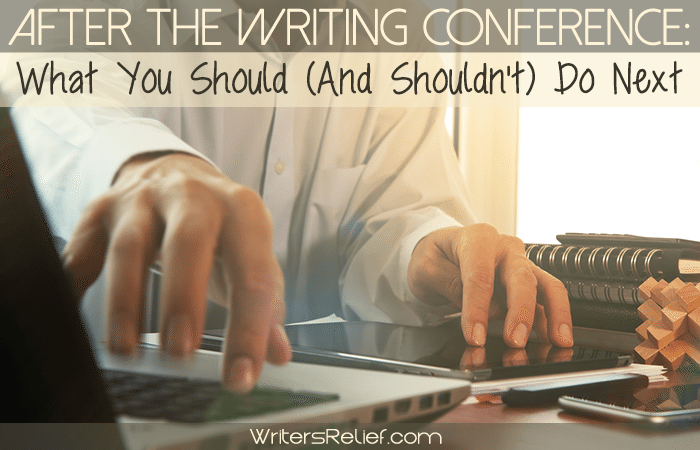 After The Writing Conference: What You Should (And Shouldn't) Do Next - Writer's Relief, Inc. Spend a few days at a high-energy writing conference, and chances are the first thing you’ll want to do when you get home is throw on some sweatpants and curl up with a good book. But some of the most productive work you’ll do won’t happen while you’re at the conference: It will happen when you’re back in your home office. Create the right mind-set. 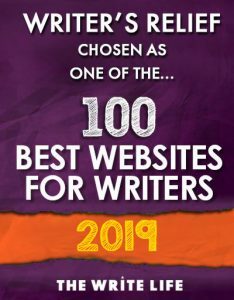 If you want to make the most of the time, energy, and, of course, money that you put into the writer’s conference, consider your first day home to be your last day at the conference. For example: If you went to a three-day event, consider your first day home “day four.” By maintaining your “writing conference” frame of mind for one more day, you’ll be able to maximize the opportunities you created for yourself while you were away. Send out your manuscripts ASAP. If you met a literary agent or editor who requested a manuscript, follow their guidelines and send it out like this as soon as you can after you get home. Agents and editors are routinely flooded by proposals after conferences, so make sure you get yours into their hands quickly! If the submission you discussed with the agent or editor isn’t ready yet, send a note of thanks and offer a firm deadline for when the manuscript will be sent. Then stick to it! Strike while the iron is hot and the agent or editor still recalls meeting you. Sort through your notes. Remember all the hard work you did preparing in advance for the writing conference? Trust us: It will have been a waste of your time unless you’re able to actually use what you learned while you where there. Update your TBR (to be read) list, including any books by authors you may have met. Sort your “to do” from your “must do immediately” and your “nice to do” ideas. Look into freelance editor—find reviews? Hang your action plan on your wall, or in some other prominent place. Remember: It’s the steps you take after the conference that can translate into success. Send follow-up notes. Gather all of the business cards you collected while you were mingling and networking at your writers conference, and start updating your list of contacts so you can turn those connections into lasting, fruitful partnerships. Then followup with “nice to meet you” notes. Be friendly and show interest: Ask to be added to your contacts’ mailing lists, invite them to keep you updated on their progress, suggest you connect on social media (if you haven’t already). Your follow-ups might feel like extra work, but they have the potential to pay off in the long run. Don’t try to sell people anything. 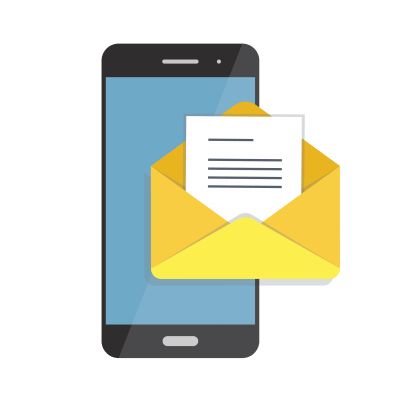 Don’t add names to your mailing list or any online group without explicit permission. Don’t attach a writing sample unless given prior permission to send it (no notes saying: I thought you’d want to read my manuscript or Please send your critique). Don’t ask for favors unless you’re prepared to offer one in return. Reward yourself. Once your “extra day” at the conference is over, pamper yourself with a little writerly TLC. You’ve earned it! QUESTION: Once you’re back home, what do you miss most about writers conferences?